A week or so ago, Google announced the new Google+ Local strategy that is replaced Google Places and embedding Google+ into it. We also had a detailed post of FAQs related to businesses owners and how this affects their local listings. After reading all of that and you are still excited about the changes for your business in Google Maps and Google+ and want to give it a try early, you can. Jade Wang from Google posted in the Google Business Help forums a form you can use to communicate to Google you want to beta test the new Google+ Local pages. Jade said, "we're taking volunteers to be considered for early upgrade to their local Google+ pages." "Please note that this is all still a test feature, so it's not for the faint of heart! Ready?," she added. So where do you sign up? Go to this form and fill out the details. Hopefully Google will respond to your request soon. 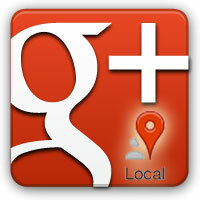 I believe you need to be a "storefront business" to qualify for this early Google+ Local upgrade.